Following some unfortunate tour setbacks earlier this year, Godsmack are planning to hit the road good and proper next year. In addition to an upcoming European tour, the band have announced a North American trek, complete with a long string of Canadian dates. The European tour, which was delayed earlier this year following the death of guitarist Tony Rombola's son, kicks off in February. 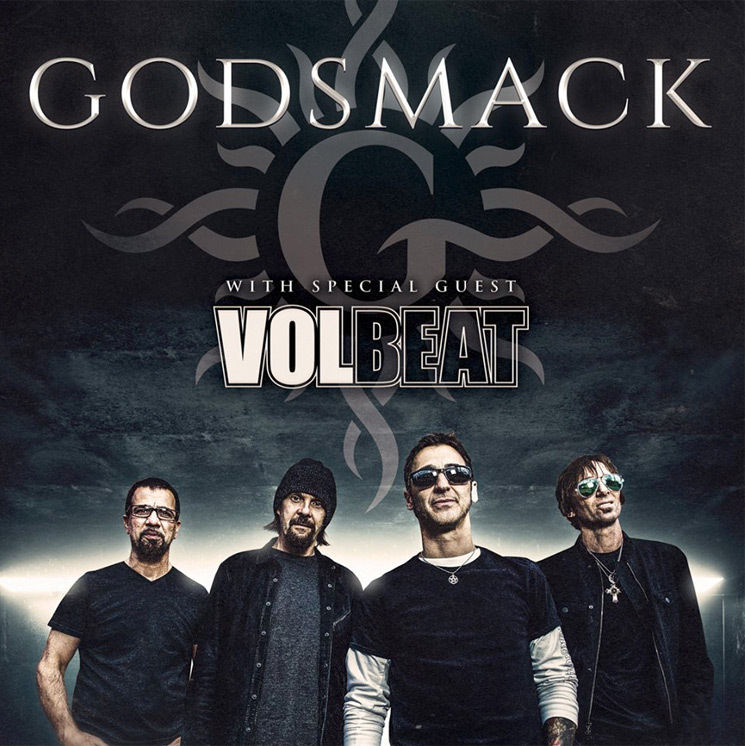 By April, though, Godsmack will be back in North America for a newly announced run of show, which also include Volbeat. In addition to a bunch of U.S. stops on the 2019 trek, the bands will be playing various Canadian cities. These include stops Ottawa, Calgary, Quebec City, Winnipeg and more. Godsmack's most recent album is When Legends Rise, which arrived earlier this year.